Having worked years in the movie business, starting at Disney Studios, Bill Brier knows how to entertain an audience, on the screen or between the covers of a book. His first novel, the mob thriller, THE DEVIL ORDERS TAKEOUT, earned a starred review from RT Book Reviews, and he launches his '50s mystery series set in small-town Oklahoma on October 21, 2017 with THE KILLER WHO HATED SOUP. And, yes, the books are as memorable as those catchy titles. 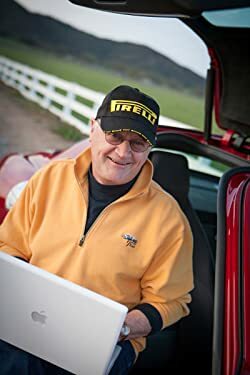 Bill lives in southern California, where he pursues his passion for writing and for driving snazzy race cars. Don't miss his riotous blog, The Brier Patch, on www.BillBrier.com about his shameless early days in Hollywood. Please enter your email address and click the Follow button to follow Bill A. Brier!